A warming drawer is a household appliance designed to maintain a warm temperature to keep food warm up to three hours without dehydrating leftovers. I use my warming drawer more than I use my microwave. It serves two primary purposes in my life: to accommodate my busy schedule and to keep food warm while entertaining guests. Although I love to cook I am very busy and I often find myself purchasing a rotisserie chicken from the grocery store and cooking the sides at home. For example, while I wait for the quinoa and vegetables to cook I place the chicken in the warming drawer so that it stays warm until I am ready to serve dinner. The temperature inside the warming drawer is warm enough to prevent bacteria from growing but not hot enough to cook the meat. My parents also love having a warming drawer. When they had young children they found it convenient so we can eat at multiple times without having cold or microwaved food. I always recommend a warming drawer to people who have young, busy families. A warming drawer is also great for entertaining with multiple courses. My friends are always surprised that we can chat for 30 minutes in between courses and the main entrée is always warm yet not overcooked. Over the last few years, warming drawers have become accessible to everyone as prices have become more affordable than they have been in the past. Many freestanding and slide-in ranges sold today feature a warming drawer instead of a storage drawer underneath the oven. Warming drawers can also be sold separately and can be built into your cabinetry. I personally like the look and convenience of a warming drawer integrated in an island or breakfast bar. Some warming drawers have convection capabilities and some basic cooking modes. If this is a feature you think would be beneficial in your kitchen, by all means ask your sales associate to incorporate a warming drawer into your kitchen. You can obtain a warming drawer in either a freestanding or a slide-in range. 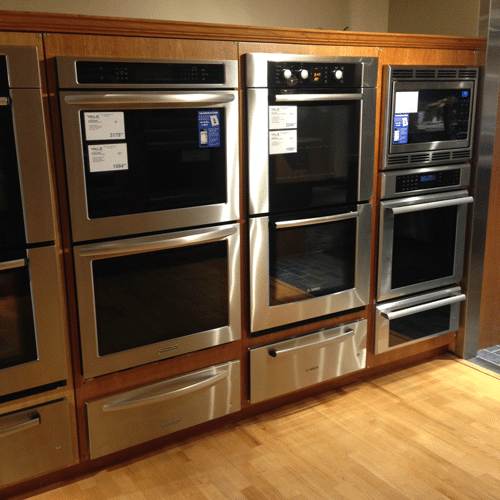 A freestanding range has finished sides with controls on a backguard behind the cooking surface. A slide-in range is designed to slide over your counter top to create a built-in look with the controls on the front. Many customers who want a custom, built-in look but do not want to purchase a professional style range typically opt for a slide-in range. This free standing range comes with 5 sealed burners, including a central oblong griddle burner for large skillets, a 5.0 cubic ft convection oven, self-cleaning feature and a warming drawer. For the customer looking to get a reliable cooking product with at a great price you should consider this range. I have heard this range referred to as “the tank”. It is a free standing range built with heavy durable materials that are meant to last. 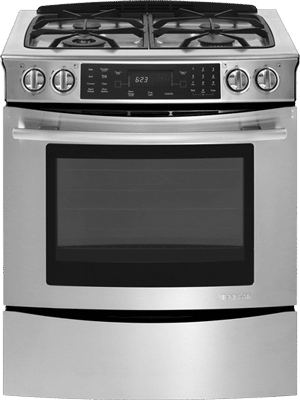 It has four sealed burners, great for those who cook with large pans, 4.6 cubic ft true European convection oven, self-cleaning, and a warming drawer. Bosch is one of the most reliable brands we carry and we typically have great kitchen packages with this brand. 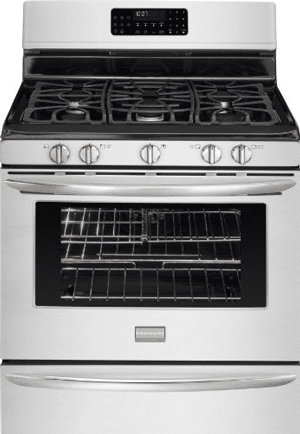 This range is one of our best selling slide-in gas ranges. 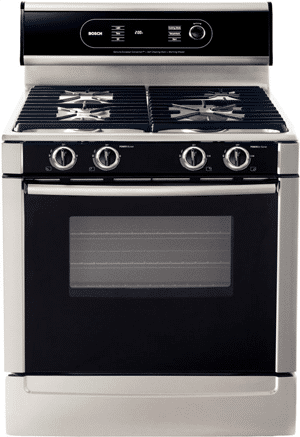 It has four sealed burners, a dual stacked power burner that can range from a high flame down to a low simmer on the same burner, a 4.5 cubic ft. true European convection oven, self-cleaning, and a warming drawer with preset temperature settings. Jenn-Air is one of the most popular brands we sell due to a great appliance package options. You can also build a warming drawer into your cabinetry. These warming drawers are sold in high-end brands. I really like the addition of a warming drawer built into an island or breakfast bar. Miele is a premium brand widely known for producing dishwashers in the North American market but they highly prioritize producing high quality products in all categories. Their warming drawer contains a fan assisted heating system, 4-hour timer, variable temperature settings, and touch controls. Disclaimer: if you are going to get the Miele warming drawer and build your cabinets to accommodate this model keep in mind that the Miele model has slightly taller dimensions than other brands so you will only be able to replace it with another Miele warming drawer. Thermador is one of our best selling premium brands due to reliable service history and great package promotions. This brand is widely known for the star burner on their gas cooking products. I might be a little biased here because I grew up using a Thermador warming drawer. It has 4 heating modes, warming mode, proof mode, automatic shut-off timer, digital display and touch controls. It has soft-close hinges that protect the appliance in busy kitchens, a moisture selector feature that controls humidity level in the drawers. It also has open sides to easily move heavy dishes from the drawer. Wolf is a premium brand known for producing high-quality cooking products. This warming drawer is panel-ready meaning you can integrate this appliance into your cabinet design, or purchase stainless steel panels and handles. Wolf has many advanced features including: preset and variable temperature control, preset automatic shut-off, Sabbath Mode, full extension ball bearing drawer glides, and it is UL approved for outdoor use. Download the Yale Wall Oven Buyers Guide with features, specs and inside tips to the every major manufacturer. Over 45,000 people have read a Yale Guide.